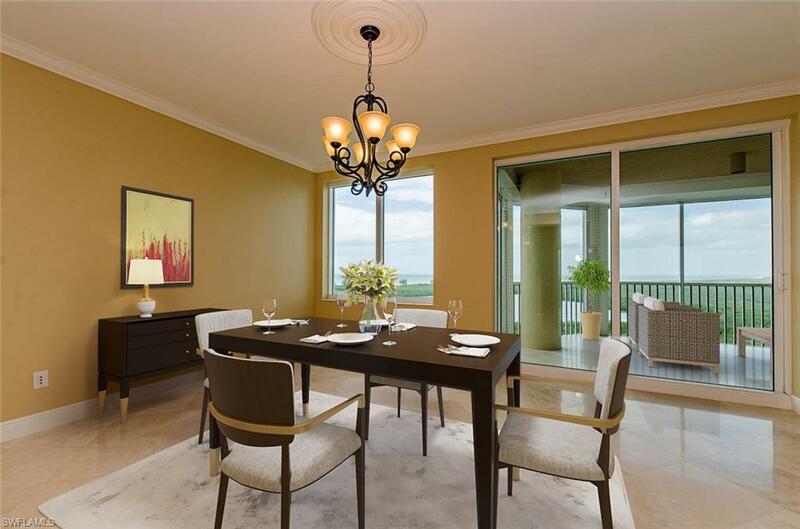 Grande Phoenician brings an urban style to Naples luxury high-rise living. 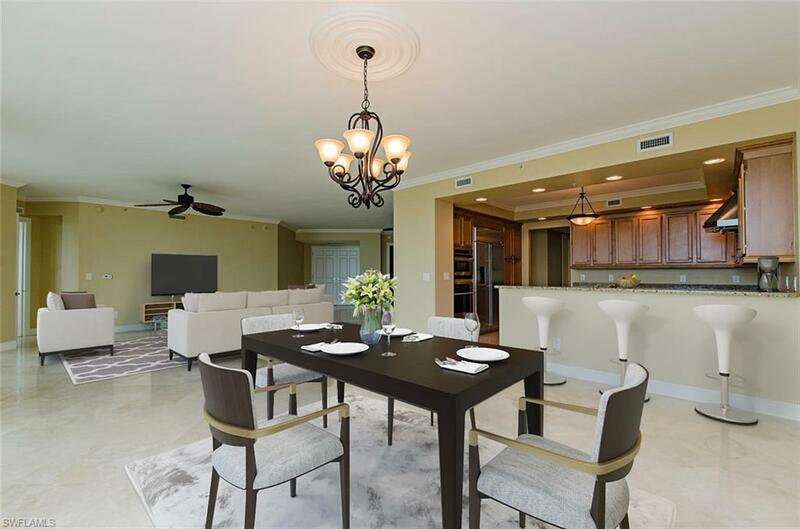 This luxury residence is in PRISTINE CONDITION and offers an open floor plan with private elevator, exceptional water views of Turkey Bay and the Gulf of Mexico, gourmet kitchen with stainless steel gas cook top, wall oven, wine cooler, built-in refrigerator, and master suite with spa inspired bathroom. 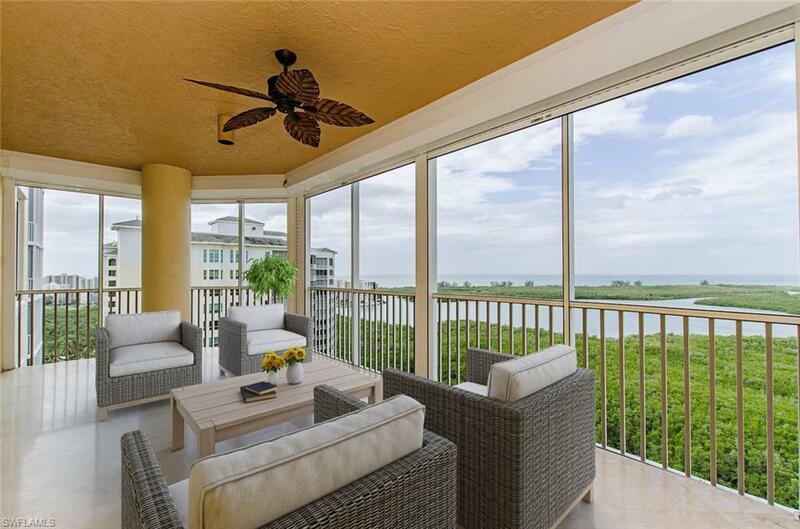 Just steps away from the many resort-caliber amenities of The Dunes. Enjoy a refreshing drink with lunch at the pool bar. Dine alfresco on the patio under the sun or moonlight. 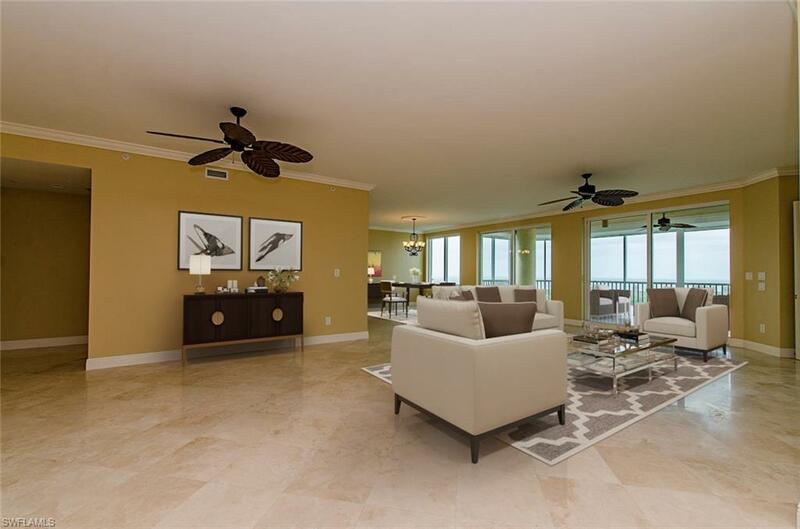 Tennis center with six lighted courts, fully-equipped fitness center, resort style pool with a gazebo-ensconced hot-tub surrounded by a furnished plaza and sundeck. Concierge Center with personalized services, conference room, and business center. Private membership to the Floridian Club is available; a private beach club. The club is a fully staffed beach club offering members food and drink services, gulf front swimming pool and private beach access. selection is offered beach and poolside or at the veranda bar. Whether it is sunset cocktails, a great meal, or just lounging beach or poolside, sit back, relax and enjoy the good life!